Got any friends that love sailing the high seas? 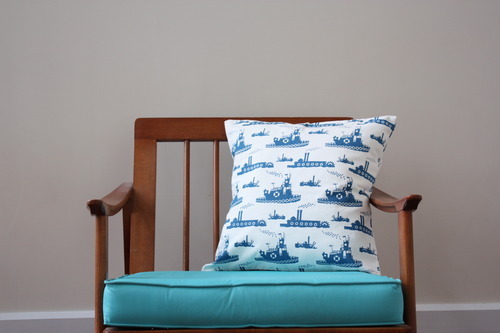 We think this blue tugboat pillow cushion would look great on a chair below deck…or on your apartment couch. Cushion covers available in an assortment of colors and designs online and in the shop! Sixth Day of Gift Giving - For your Mother.